This medicine is used for the prevention and long-term treatment of asthma. It is also used to treat hay fever (seasonal allergic rhinitis). 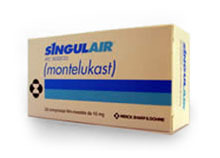 Montelukast works by blocking substances in the body called leukotrienes. Blocking leukotrienes improves asthma and seasonal allergic rhinitis symptoms. Additional monitoring of your dose or condition may be needed if you are taking rifamycin antibiotics (e.g., rifampin), certain medicines which stimulate liver metabolism (e.g., phenytoin, phenobarbital, carbamazepine), or other asthma medicines. Do not start or stop any medicine without doctor or pharmacist approval. Inform your doctor of any other medical conditions including liver problems, certain blood disorders (phenylketonuria), allergies, pregnancy, or breast-feeding. Use of the 4mg tablet is not recommended in children under age 2. Use of the 5 mg tablet is not recommended in children under age 6. Please talk with your doctor about the risks and benefits before giving this medicine to your child. Follow the directions for using this medicine provided by your doctor. This medicine may come with a patient leaflet. Read it carefully. Ask your doctor, nurse, or pharmacist any questions that you may have about this medicine. Chew thoroughly before swallowing. This medicine may be taken on an empty stomach or with food. Generally, if this medicine is being taken for asthma, it is taken once daily in the evening. If taking for hay fever (seasonal allergic rhinitis), take the medicine at about the same time each day (either morning or evening). If you are taking for both asthma and hay fever, take the medicine in the evening. Store this medicine at room temperature 77 degrees f (25 degrees c) in a tightly-closed container, away from heat, moisture, and light. Brief storage between 59 and 86 degrees f (15 and 30 degrees c) is permitted. Continue to take this medicine even if you feel well. Do not miss any doses. If you miss a dose of this medicine use it as soon as your remember. If it is almost time for your next dose, skip the missed dose and go back to your regular dosing schedule. Do not take 2 doses at once. This medicine will not stop an asthma attack once one has started. If you are also using a bronchodilator inhaler, be sure to always carry the inhaler with you to use during asthma attacks. Consult your doctor or pharmacist for specific advice on all drug therapy. Contact your doctor if your symptoms do not improve or if they become worse while you are using this medicine. If your short-acting inhaler use increases or if use exceeds the 24-hour maximum prescribed by the doctor. Do not stop using this medicine or any other asthma medicine without first checking with your doctor. Keep all doctor and laboratory appointments while you are using this medicine. 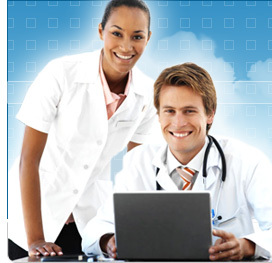 Laboratory and/or medical tests should be performed periodically to monitor your progress or check for side effects. Check with your doctor for more information. Before you begin taking any new medicine, either prescription or over-the-counter, check with your doctor or pharmacist. Phenylketonurics: this medicine may contain aspartame, if you have phenylketonuria (pku) or any other condition where you must restrict your intake of aspartame (or phenylalanine), consult your doctor or pharmacist regarding the safe use of this medicine. For women: if you plan on becoming pregnant, discuss with your doctor the benefits and risks of using this medicine during pregnancy. It is unknown if this medicine is excreted in breast milk. If you are or will be breast-feeding while you are using this medicine, check with your doctor or pharmacist to discuss the risks to your baby. Side effects that may occur while taking this medicine include unusual weakness, stomach upset, diarrhea, dizziness, cough, headache, nausea, vomiting, trouble sleeping, or mouth pain. If they continue or are bothersome, contact your doctor. Contact your doctor immediately if you experience hallucinations, fever, persistent sore throat or earache, or flu symptoms. Contact your doctor immediately if you experience any of these highly unlikely but serious side effects including stomach pain, muscle aches/cramps, irregular heartbeat, yellowing eyes/skin, numbness/tingling of the hands or feet, easy bruising or bleeding, swelling, or seizures. An allergic reaction to this medicine is unlikely, but seek immediate medical attention if it occurs. Symptoms of an allergic reaction include rash, itching, severe swelling, severe dizziness, or trouble breathing. If you notice other effects not listed above, contact your doctor, nurse, or pharmacist. If overdose is suspected, contact your local poison control center or emergency room immediately. Symptoms of overdose may include thirst, drowsiness, dilated pupils, increased muscle movements, or severe stomach pain. Carry an identification card at all times that says you are taking this medicine. Do not share this medicine with others for whom it was not prescribed. Do not use this medicine for other health conditions. Keep this medicine out of the reach of children and pets. If using this medicine for an extended period of time, obtain necessary refills before your supply runs out.